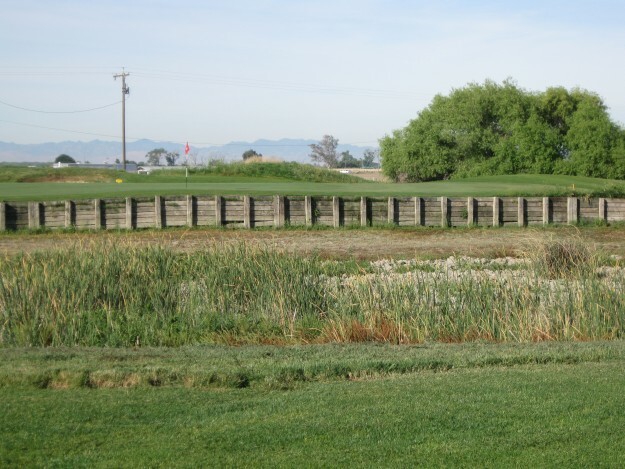 Among the victims of the 2015 drought is Stevinson Ranch Golf Course in northwestern Merced County, California. Local media reported the owners have agricultural interests nearby and those interests, combined with a general decline in the number of golf rounds at the course, forced a business decision to divert water from the fairways to farm fields. Ever since the decision to close Stevinson was made, a lot of golfers are playing one last round at a memorable and challenging course. 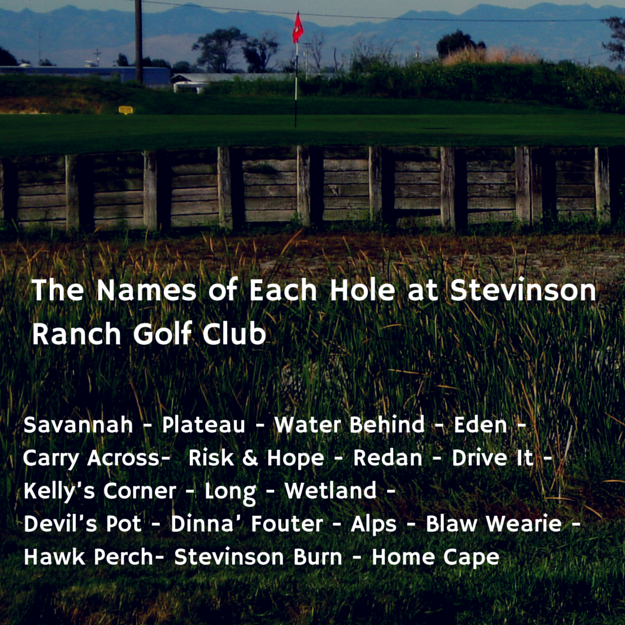 I first played Stevinson in 2006 in a charity tournament shortly after moving to the community.I remember being impressed with the course but frustrated that I had to travel over a half-hour from downtown Merced over country roads just to find it. Actually, the distance was a minor nuisance.The fact was that the course intimidated me.It was tough and I needed more time to develop my game.I stayed away for the next eight years in favor of courses that were easier to get to and not nearly as daunting. About a year ago, a golf buddy of mine suggested we go out there again.My game had improved over the years and I found the course to be formidable and maybe even better than I had remembered the first time.We played there twice in 2014 and we were set to play again in 2015 when we read reports that the course would close in July. Recently, we headed out to Stevinson for our last round.I brought my camera along.We had an early tee-off slot and that allowed us a little more time to take in the sights of the Central Valley countryside.Before long, the irrigation will be shut off.I wanted to enjoy this course in its bright green against a clear blue sky on a cool late spring morning.The weather cooperated. Every hole on this course has a name, but I never took the time to connect these names with their respective piece of the landscape.Maybe if I had played the course more frequently, I would have become familiar with the names.Thanks to the score card saved after the round, I can refer back to each hole by name. I took a photograph at what was once my nemesis.A pond on the number four hole goes by an ironic name of Eden.I’m sure the pond at Eden has captured many golfers’ first shots over the years.The pond water was gone the day we played.It’s just a dry bed of rough.It’s still a hazard, but it seemed less intimidating without the water. Number six is aptly titled Risk & Hope.My approach shot landed in one of several sand traps that seem to circle the putting green. Risk & Hope lived up to its name on this final round.With about one-hundred yards to the green, I took out my trusty seven-iron.I thought the risk was possibly overshooting the green.I hoped to land close to flag.I ended up in a bunker in front of the green. I’ve been in those traps before, but I didn’t seem to mind it as much this time around. I’ve always admired an old tree stump that remains near an irrigation creek between holes ten (named Long) and eleven (named Wetland).I get the feeling that stump was there long before Stevinson became a golf course.I suspect it will remain there in the years to come. I got a par at both par threes on the back nine: number twelve (Devil’s Pot) and sixteen (Hawk Perch).I also made par on the par four number fourteen (Alps).I ended the par five number eighteen (Home Cape) going one over with a six.I turned around and took one last picture of the cart path that brought us to the end of the line. It’s been a rare opportunity for a guy who spent over twenty years trying to figure out the game of golf to now have the chance to play every week.I’m thankful that my game has improved to a point where I no longer use the phrase, “I’m having so much fun, why bother keeping score?”I keep score and keep trying to improve.There’s a long way to go, but I’ve never enjoyed the game more than I do right now.I’m grateful to a couple of golfing buddies who have accompanied me from time to time on some of the better courses in the Central Valley. Stevinson Ranch scared me the first time I played there in 2006.I have by no means tamed this venue.But I have given the course my respect as it has brought out the best in me as far as the game of golf is concerned. Golf has always been about blessings.I’m in reasonably good health to play.I can afford it as long as I keep an eye on discounted green fees and decide that I don’t need the latest club available at the sporting goods store.I’m blessed to be able to play this game.I’m blessed to enjoy it as much as I do.I’m blessed every time I get to walk outdoors and view the outstanding scenery surrounding many California courses.I’ve also been honored to meet some genuinely nice people on the fairway and in the clubhouse. To the staff that kept this course up to an exceptionally high standard especially in these past two years, thank you for your care and customer service. To the owners who made what was probably a very difficult business decision, thank you for hanging in there so long. To everyone connected with Stevinson Ranch Golf Club, it’s been a pleasure sharing my passion for the game on those beautiful fairways, challenging bunkers, and demanding putting greens. I have taken memories from playing there that will last me the rest of my life.I will miss it deeply.